I've been trying to tackle my to-do list to the best of my ability. All of a sudden I have been motivated so this weekend I started something I should have finished last March. I unpacked my new miter saw to start a new build. Can you tell what it is? 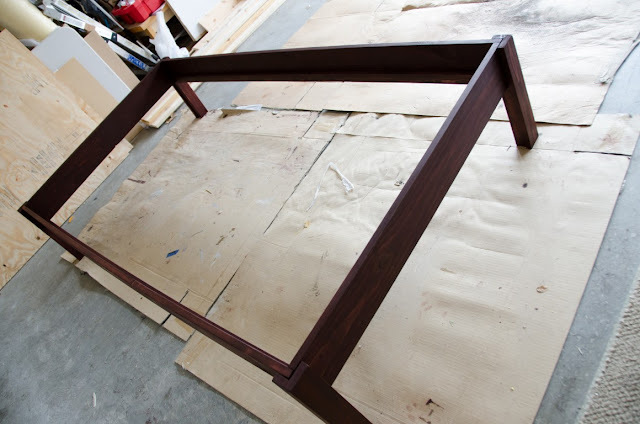 Cut, sanded and stained. I just need a couple of coats of polyurethane, a week to cure and I can bring it into the house. More on this later.